Parallels Virtuozzo containers are the best way for you to manage your VPS servers and incorporate virtualization into your control panel. VPS servers are some of the most popular for businesses that have security as a number one priority. VPS servers are an alternative to dedicated servers that offer the same relative benefits at a fraction of the cost. Your control panel and websites will run much more smoothly if you are the only one using your server, and that is the premise of why so many people are turning to VPS servers and Virtuozzo containers. Parallels Virtuozzo has constructed a product that is able to take multiple servers and combine them into one location. Virtualization is so important in today’s market, and with Parallels Virtuozzo containers, you can more efficiently manage any and all of your servers in one location. People are deciding to use VPS virtualization with Virtuozzo containers so that they can find an alternative to other forms of server management and keep all of their websites in one place. Automation and management are two of the benefits to using Parallels Virtuozzo containers, and you can also streamline your data center with the virtualization provided by licensing the Parallels Virtuozzo containers. Web hosting providers use Virtuozzo containers, but there are also many other professionals in the web development, web design, and IT industries that find that Virtuozzo containers are a great way to improve server management and client satisfaction with services. No matter what your virtualization needs are on your servers, Parallels Virtuozzo containers can give you the resources that you need to help your businesses become more productive and efficient over the long term. 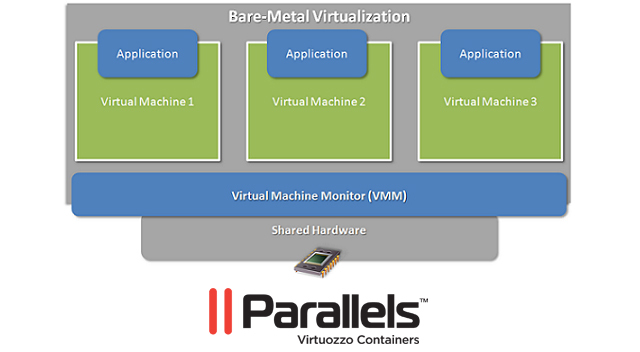 With Parallels Virtuozzo containers, you can streamline your virtual environment and provide optimized virtualization to your control panel. 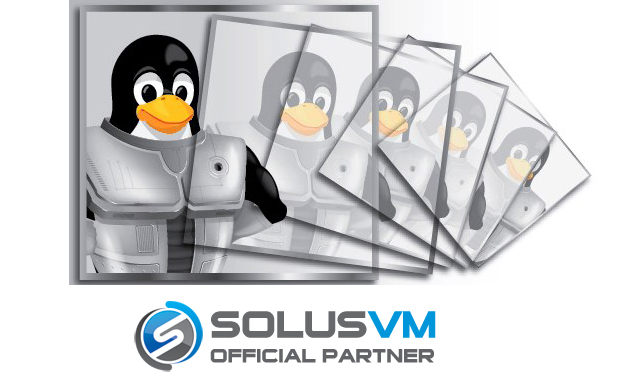 Having recently partnered with SolusVM, LicenseCube is now proud to be able to offer our customers the most cost effective virtualization solution on the market today. SolusVM is a complete, feature rich control panel designed for VPS admins working on a tight budget. SolusVM is aimed at small and medium sized businesses in particular, as these business owners eventually find that they need to be able to offer additional services such as VPS in order to expand their revenue stream. Offering VPS through other solutions such as virtuozzo and other control panels, however, can be very costly and can mean missing out on important features. This is where SolusVM comes in and plays a truly integral role. By offering support for OpenVZ, XEN, and KVM virtualization platforms, SolusVM is simply the diverse option that customers are looking for. Purchasing a SolusVM license from LicenseCube offers more than just the best in small and medium business virtualization software, however. Customers who purchase their licenses directly from us will also gain the many benefits that come along with being a LicenseCube customer. We offer 24 hour a day, seven day a week customer support and service, something most licensing resellers would never even dream of. With LicenseCube, you can also always depend on the latest priority updates as soon as they are released. At LicenseCube, we take great pride in our new partnership with SolusVM and the solutions that we know they will be able to bring to our customers. We are pleased to offer a wide range of solutions for all of our web hosting clients, and SolusVM provides a control panel software license that includes a vast array of important features. When getting the best control panel for your virtualization without paying more than you need to is important to your business, trust the respected team at LicenseCube and the reputation of SolusVM to give you what you need. By licensing Virtuozzo, you will be able to get in on the web hosting game and start selling Plesk VPS servers. After you purchase a Virtuozzo license, you will be able to setup containers for your Plesk VPS accounts, and install complex virtualization for your server quickly and easily. Nothing is hotter than a VPS server in the Internet market today, and Plesk control panels are the best choice for managing and optimizing your containers and servers. With a Plesk license, you can set up a VPS server that has the functionality of a dedicated server for a fraction of the cost. To jump into the virtual private server market with Virtuozzo, you will need to obtain a Plesk license and a Virtuozzo license. The great thing about using these products together is that they integrate effortlessly and are designed to provide the most comprehensive server management opportunities. With Virtuozzo containers, you can create several isolated containers on each server so that you will be able to easily share hardware, licenses, and other information between users. Virtuozzo paired with Plesk has been shown to increase the productivity and efficiency of any web hosting company that operates off of a VPS server. Virtualization is made simple with the Plesk and Virtuozzo software programs. Together, they are an unstoppable force for web hosting companies. With a Virtuozzo license and a Plesk license, you will be able to fully secure your virtual servers and configure a control panel that will give your potential customers the best options for starting their own site and monitoring the growth of your own business. With Virtuozzo containers, you will be able to effectively manage your VPS so that they will yield you the most productive results and allow you to give your customers the widest selection of features and applications of any automation software program.